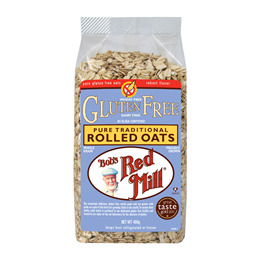 Bob`s Red Mill Gluten Free Old Fashioned Rolled Oats make a deliciously hearty, wholesome hot cereal that gives you lasting energy. To ensure that these oats maintain their gluten free integrity, they are handled with care in their dedicated gluten free facility. Add boiled water and cook for 10-12 minutes depending on the consistency you desire! Below are reviews of Bob`s Red Mill Pure Rolled Oats - 400g by bodykind customers. If you have tried this product we'd love to hear what you think so please leave a review. 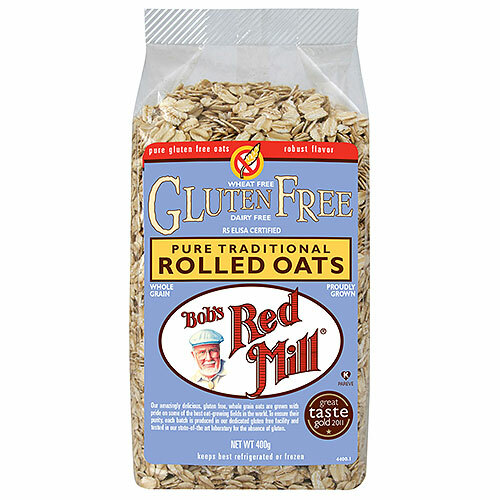 Bob`s Red Mill Gluten Free Old Fashioned Rolled Oats make a deliciously hearty, wholesome hot cereal that gives you lasting energy. To maintain their gluten free integrity, they are handled with care in their dedicated gluten free facility.